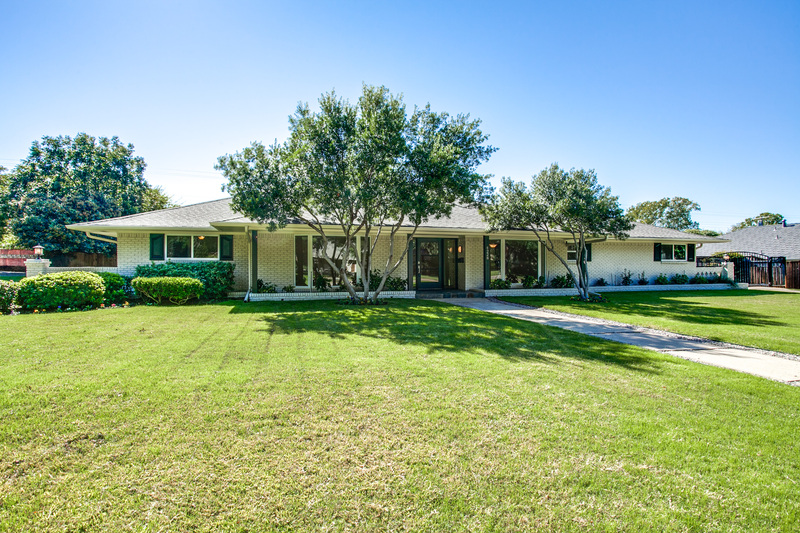 Situated in Luna Park Estates, this sophisticated completely updated ranch style residence is nestled on a gorgeous 132’ x 130’ lot with great drive-up appeal. The fabulous one-story home showcases an open floor plan, floor-to-ceiling windows, spacious entertaining rooms, hand-scraped hardwood floors, recessed and decorative lighting, elegant formals, a spacious island kitchen with granite counters, premier stainless appliances, two breakfast bars, two pantry closet and a large breakfast area and is also open to an oversized vaulted den with a stone wood-burning fireplace, with a raised hearth, and also flows to a third living area, a luxurious master suite with His and Hers large closets and a fabulous granite and travertine bath, three additional generous-sized bedrooms with neutral carpeting, large closets and the bedrooms are served by two granite and travertine baths, a patio, landscaped backyard and a two-car oversized attached garage with an additional carport and automatic gate. More information to follow soon!